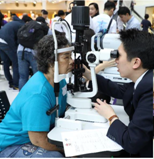 The Hong Kong Ophthalmological Society (HKOS) and the College of Ophthalmologists of Hong Kong (COHK) co-organizes a public education event, with a specific theme, every year. 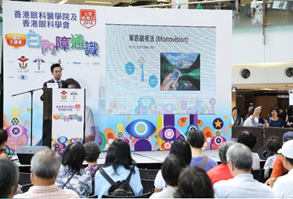 This year, the event was held on 7 Oct 2018 at the Metroplaza, Hong Kong, and we chose the theme of cataract surgery. 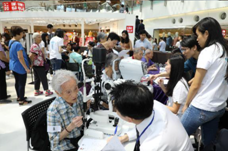 There was a press conference, health talks, education displays and a free eye screening. This was also an event of the 8th APAO Eye Care Week. The key messages in this event was: 1) Cataract surgery can improve vision and quality of life; 2) There are other added benefits of cataract surgery including reduction in refractive error; reduce risk of fall; treating co-existing angle-closure glaucoma; 3) If cataract affects vision and/or quality of life, the public should consult ophthalmologists. 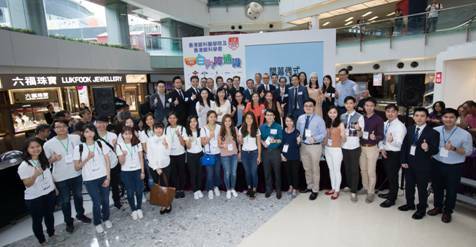 A press conference immediately followed the opening ceremony, and was given by representatives from both the HKOS and COHK. 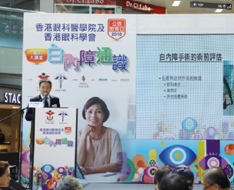 One focus of the press conference was on the latest local epidemiology study results which included the cataract disease burden in Hong Kong. 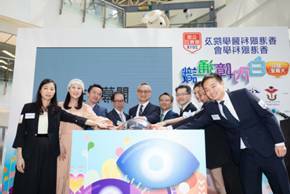 Other parts of the press conference included the other benefits of cataract surgery, including reduction in spectacle dependence, treating co-existing angle-closure glaucoma, and other systemic benefits such as reduction of fall. We have also invited a patient who shared his experience with cataract surgery. Key messages included: Cataract surgery can improve vision and quality of life; There are other added benefits of cataract surgery including reduction in refractive error, reduce risk of fall and treating co-existing angle-closure glaucoma; If cataract affects vision and/or quality of life, the public should consult ophthalmologists. 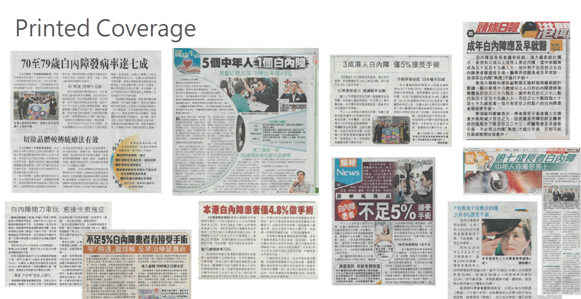 The content of the press conference was broadcasted in two TV channels (TVB news and cable TV), and also over 12 printed newspaper and over 30 online & digital coverage. Education displays were set up to provide more in-depth information regarding cataract to the public. 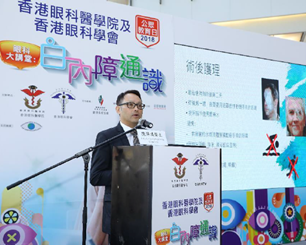 The contents included 1) Introduction of COHK and HKOS; 2) Causes of Cataract; 3) Special types of Cataract; 4) Pre-operative Evaluation; 5) Cataract Surgery Types; 6) Intraocular Lenses; 7) Post-operative care; 8) Posterior capsular opacification. There were total three talks. The first was on the intraocular lenses and how they can reduce spectacle dependence after cataract surgery; the second was on cataract surgery which included the pre-operative preparations, different techniques and post-operative care; the last talk was on some common post-operative enquires including posterior capsular opacification, dysphotopsia and post-operative dry eyes. 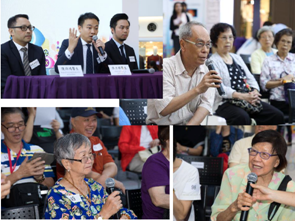 A question and answer session was included for the public to ask questions regarding the contents of the talks. Apart from the press conference and news coverage, we have invited two artists, Ms. Priscilla Wong (黃翠如) and Ms Elvina Kong (江欣燕) as our Ambassadors. 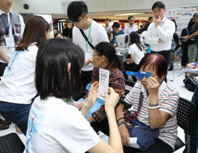 Our aim is that our ambassador can help spread our key messages to a wider population group (especially the younger generation), and to increase the overall awareness towards eye diseases. Our two celebrity ambassadors were featured in the entertainment page in over 10 printed newspaper, and over 30 online & digital coverage.